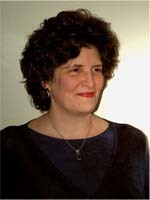 Patricia Santogrossi was born, raised, and educated in Illinois, receiving a BS and MS in Geology from the University of Illinois, Champaign-Urbana. She is currently a Project Manager with Statoil USA E & P, engaged for more than 5 years in its Gulf of Mexico business development, corporate integration projects, and prospect maturation. Previously she worked with domestic and international Shell Companies for 15 years, Marathon Oil Company, and Vastar Resources until its acquisition by BP—in research, exploration, leasehold and field appraisal, as well as staff development. Subsequently, Patricia was Chief Geologist for Chroma Energy, which exploited proprietary 3D technology, and for Knowledge Reservoir, a reservoir characterization and simulation firm specializing in deep-water project evaluations. Postings outside of Houston have included New Orleans and London. Tricia's involvement with GCSSEPM spans more than 15 years and includes participation as a Program Committeeman and Session Chair and all-around helper at a number of Research Conferences. She has served as Treasurer and Vice-President on the Executive Council and is currently serving a second year as GCSSEPM Trustee. She has been a member or SEPM for 35 years, AAPG for more than 25 years, and is active in Zonta International.